Bloomingville cabinets - LIVING AND CO.
Beautiful wooden display cabinet from Danish Bloomingville. The white Bloomingville cabinet has a door with glass and has two shelves. Nice to decorate with your favorite home accessories for a unique look! Awesome storage rack from Danish interior brand Bloomingville. The rack is made of metal and wood. This Bloomingville rack is nice to combine with your favorite home accessories. 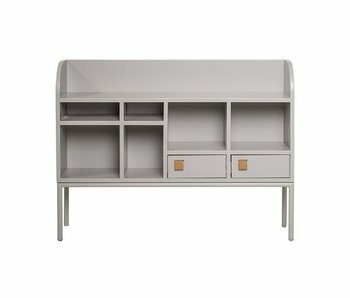 Elegant Cute cabinet from Danish interior brand Bloomingville. Executed in gray with alot of storageroom! Pair it with your favorite Bloomingville home accessories to create unity. Elegant cabinet from Danish brand Bloomingville. Finished in light blue with door. Pair it with your favorite Bloomingville home accessories to create unity.